Welcome to the website of Christ the King Old Catholic Church, Albuquerque, NM. Christ the King Church Old Catholic Church is a mission parish of the North American Catholic Ecumenical Church (NACEC). Christ the King Old Catholic Church is a non-profit organization incorporated in the State of New Mexico and approved by the State of New Mexico Attorney General's Office. 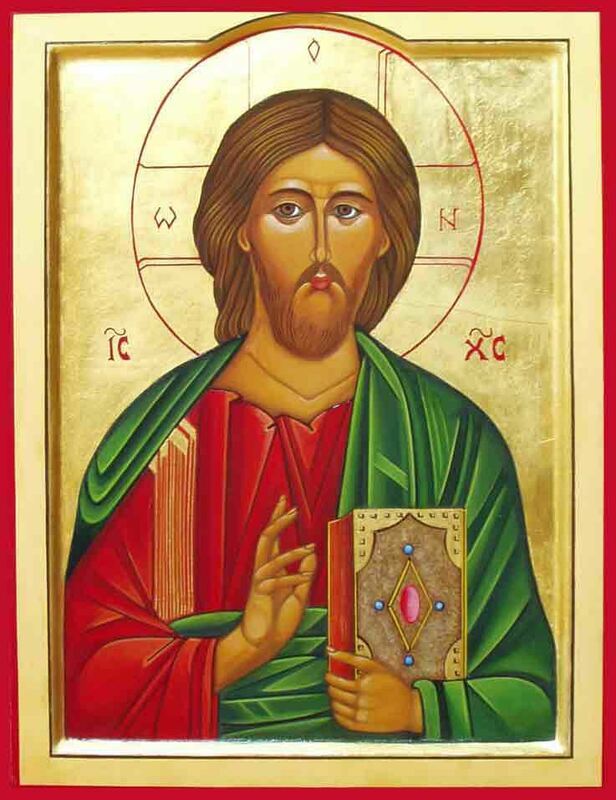 Please Note: Christ the King OCC and the NACEC are an autocephalous Catholic faith community; neither Christ the King OCC parish nor the NACEC are affiliated with or subject to the Roman Catholic Church or the Roman Catholic Archdiocese of Santa Fe or any other Roman Catholic diocese or jurisdiction in which our missions are located. Christ the King OCC has an open Communion Table for all who attend. No one is separated from the Grace of God. "Take this all of you and eat...."
I am considered a "Volunteer Chaplain" at Lovelace Women's and have had a background check through the hospital for any legal or moral improprieties (none were found) and my priesthood and Sacramental services verified. Not to be confused with the Roman Catholic Church, Christ the King Old Catholic Church is considered by the RCC in the same category as the Orthodox and Eastern Churches: we are legal and valid (which means that our Holy Orders and Sacraments are legitimate and ok'd by Rome) but are "illicit" which means that we are not under the Roman Pontiff, the Pope, for our authority or direction. According to Rome, we are therefore "outside" of the Roman Church. Pope St. John Paul II, Pope Benedict XVI, and Pope Francis all have affirmed Old Catholic valid Orders and Sacraments. PLEASE NOTE: At no time has Fr. Dave, the NACEC, or Christ the King OCC ever claimed or affirmed membership in or being a part of the Roman Catholic Church or the RC Archdiocese of Santa Fe, New Mexico. At the hospital I do not intrude on patients but only when invited by family or others to bring Holy Communion, The Sacrament of Anointing and Healing, prayer or other spiritual consolations to patients and staff in Women's Hospital. I will be honored to exercise my pastoral abilities as chaplain when requested. We call ourselves North American because we are uniquely American Catholics- We believe in and practice an open communion table: All are children of God and All are Welcome to the Table of the Lord! In the Eurcharistic Prayer Jesus Himself tells us: "Take this, ALL OF YOU, and eat.... This is my body." We are part of the American tradition of making choices that are meaningful to our lives, including our spiritual and religious preferences. Christ the King is an open and affirming reformed catholic faith community. We celebrate diversity! We are... A DIFFERENT KIND OF CATHOLIC! We are Catholic both in practice (worship) and the deposit of faith through the bishop and clergy whose lines trace back to the original apostles. We celebrate all 7 Sacraments, the Mass, the Real Presence in the Eucharist, veneration for Mary and the Saints, and encourage traditional pius practices such as the Rosary and Benediction. Our Mass is the Novus Ordo of Paul VI. We are Ecumenical because we include all people and interact with all faiths and invite all present to our Communion Table. We are Church because we are a faith community of the People of God. We are a welcoming church for those on their spiritual journey seeking a place to practice their sacraments and love the Lord, and an open and inviting parish to those who have had parish membership or weddings and marriage declined, baptism declined, who are gay or straight, young or old, single or in relationships, and those looking for a spiritual community. We are not perfect, and we are not large but we are friendly. Are you interested in helping us build a faith community? Christ the King Old Catholic Church is a Welcoming, Open and Affirming Church in the Catholic Tradition. We welcome diversity and do not discriminate with clergy or laity in gender, age, marital status, employment, or sexual orientation. The lgbtq community has a friend in Christ the King. DIGNITY, NM meets for Mass every first Sunday of each month at 11am Mass... "DIGNITY Sunday!" All lgbtq Catholics are welcome to visit with us and join us for Mass and the Sacraments, and lunch after Mass. Everyone is welcome. Gay Catholics in Albuquerque and New Mexico have a friend in Christ the King OCC. Christ the King Old Catholic Church supports Marriage Equality for lgbtq couples. Marriage is a right, not a privilege and love is love. We don't ask questions.